The phrase ‘Trojan Horse scandal’ has been banned in Birmingham because it is ‘unhelpful’ to the city and its schools, its education commissioner has revealed. 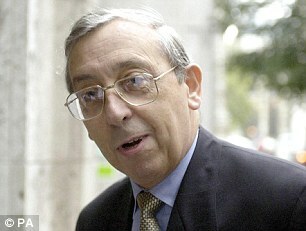 Sir Mike Tomlinson said he introduced the ban following negative publicity over how hardliners infiltrated state schools in the city and tried to impose an Islamic agenda. He said the phrase, which he refused to even say himself, was damaging morale among teachers and even hurting recruitment to schools. Sir Mike, who is a former chief inspector of schools, was brought into the city in 2014 to help repair the damage done by the affair. It was sparked by an anonymous letter sent to the city council about a plot by Muslim groups to install governors at schools called ‘Operation Trojan Horse’. Speaking at the Varkey Foundation Global Education and Skills Forum in Dubai, Sir Mike said the phrase was not used by officials anymore.